Best friends Sophie and Tye are watching TV when a car crashes through the living room wall. In the car are twins, Harry and Gemma. Next door, eleven-year-old Issy witnesses the accident. 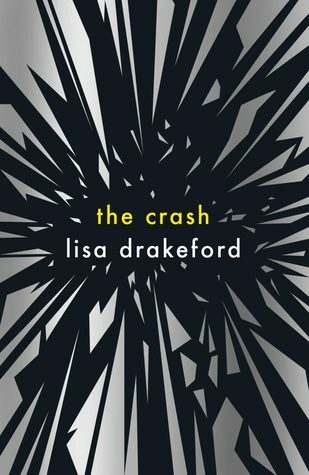 Having loved Drakeford's debut titled The Baby a couple of years ago, I was very excited to learn of her new release, The Crash. Told in the same style as The Baby, but a standalone with a completely new set of characters, the point of view alternates between chapters and we see a messed-up situation from several different angles, each with added opinions or backstories which add up to the climactic ending. The messed-up situation? Sophie and Tye are watching TV when a car comes crashing through the living room wall. The house is destroyed, a chilled afternoon becomes a life or death situation - and no one knows how it happened. This concept immediately intrigued me, and I imagine it must have been a lot of fun to explore when writing - it definitely was when reading! I actually wasn't massively keen on the alternating POVs in The Baby, but it really worked for me in The Crash, and with different points of view which all bring equal value to the story, it's hard to pick a favourite character. It includes Sophie, a mature and caring sixteen-year-old who only wants the best for everyone, including herself; eleven-year-old Issy from next door whose bravery knows no bounds; Gemma, a good person who makes the wrong choices; Harry, Gemma's twin, who is kind, sensitive, and caught up in things he shouldn't be; and Tye who I would love to have seen more of but, y'know, he was kind of busy being in a coma. I do love a good YA mystery, especially when it has an original concept that I've never seen before. It was a tiiiny bit slow paced for me in places (and I mean tiny, hence I've only knocked off one heart) but overall, Drakeford's books show her knack for hooking the reader and keeping them there until the very end, and if you liked The Baby, you will like this too. Ha, I thought that too.